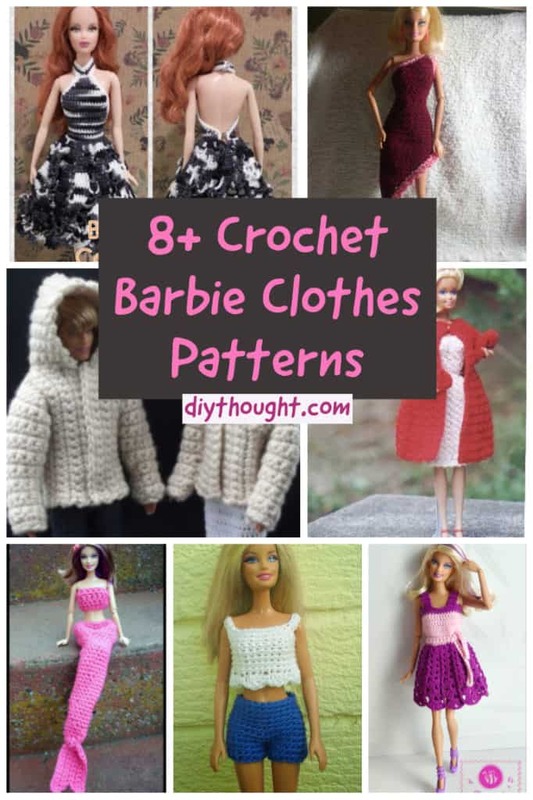 Barbie can never have too many clothes so these 8+ crochet Barbie clothes patterns are perfect to give Barbie the wardrobe she has dreamed of. There is everything here for Barbie, mermaids tail, dresses and jackets so we know Barbie will love her new wardrobe. 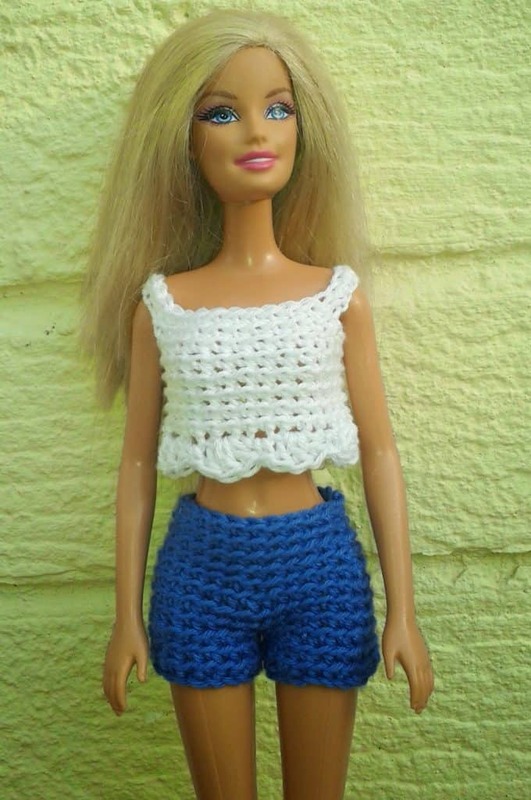 Most of these links will take you to amazing crochet websites which have even more crochet Barbie clothes patterns! 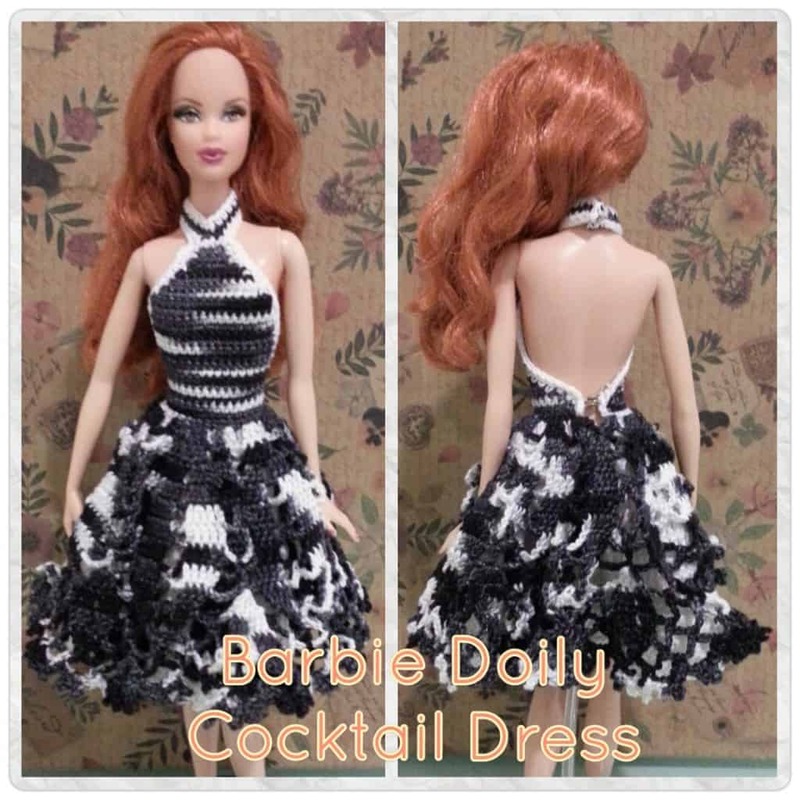 Barbie is ready to hit the town in this stylish dress. Dinner, movies and a spot of dancing, who know what fun she will get up too. 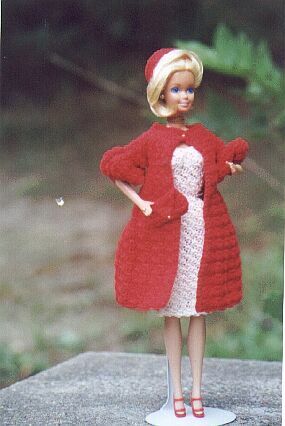 Felt Magnet has lots of great crochet Barbie clothes patterns. These cute shorts and crop top is perfect for a day at the beach or when Barbie feels like wearing something more relaxed. Be sure to check out the bikini and adorable crochet handbag patterns available over at Linmary Knits. The perfect dress for everyday wear. Take it from day to night by simply changing the shoes and accessories. 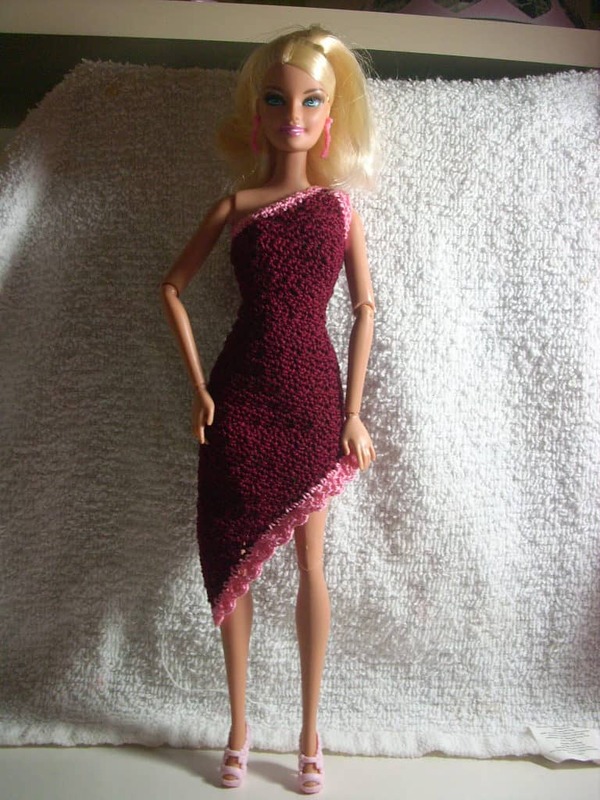 Barbie could do with a few of these dresses in different colors. Head over to Be A Crafter to get the pattern. A complete outfit perfect for Spring. 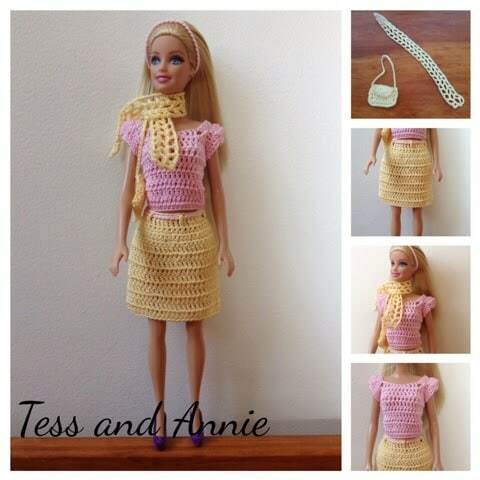 This fabulous pattern from Tess And Annie includes a skirt, top, headband, scarf, and purse. Barbie loves to keep warm in style. Who doesn’t love 70’s fashion? 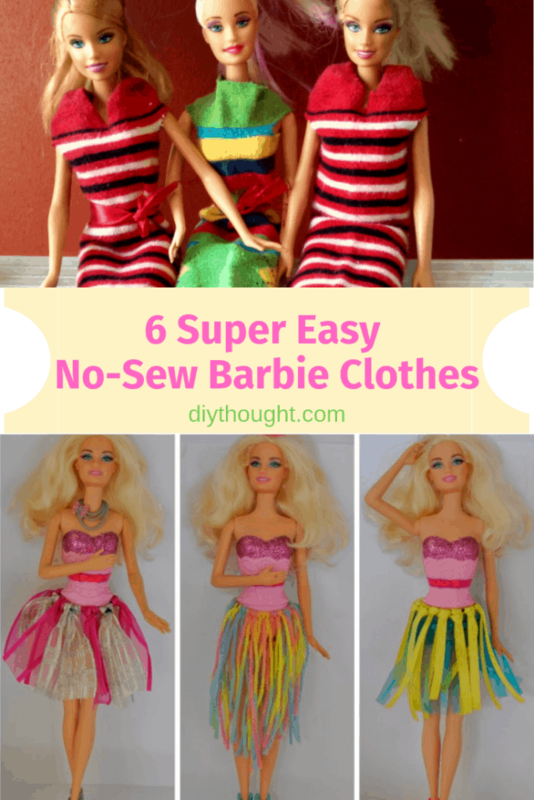 Barbie certainly know how to rock clothes from that decade! Follow this link to get the pattern. 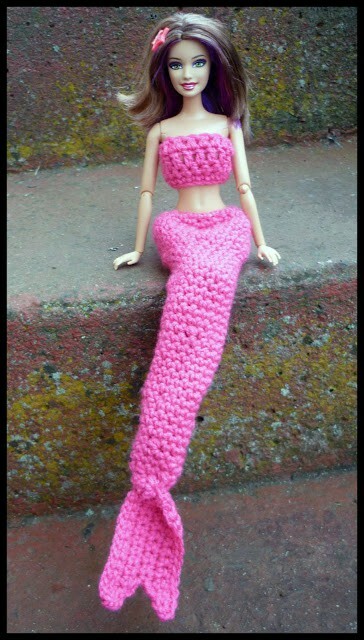 Make Barbie and your child a crochet mermaids tails so they can twin it in style. The Barbie mermaids tail and the top pattern is available for free from Mamma That Makes. 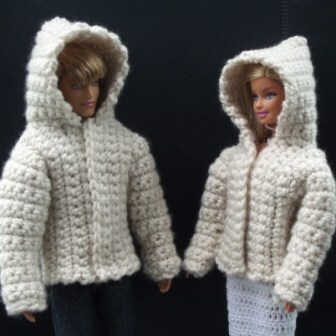 Barbie and Ken are taking a trip to the snow so they need a super warm jacket. This jacket comes with a hood so it’s guaranteed to be warm. Click here to get the free pattern. This off shoulder dress completes Barbie’s dress collection nicely. She really has something for all occasions. Get this pattern and check out the other patterns by Crochet For Barbie here.